There’s a new Florence + The Machine track out. It’s called ‘St Jude’. The patron saint of hope in desperation. Enough of that already. While the full album will probably be completely over the top, this track is much more reserved. And really rather nice. The forthcoming album, How Big How Blue How Beautiful, is out on 1 June. Often accused of slackerdom, there’s more of a post-punk ethos to Courtney Barnett’s new album. Forget Mac DeMarco. Think Ian Dury and the Blockheads, (early) Elvis Costello, (even earlier) Joe Jackson. The songs are played furiously, delivered in a genuine local accent, and the lyrics reference real-life places. This is music for the masses. This is a breath of fresh air. This is Courtney Barnett. And this record is a hoot. We’re introduced to “Oliver Paul, twenty years old, Thick head of hair, worries he’s going bald”. Then there’s Jen who “insists that we buy organic vegetables, And I must admit that I was a little skeptical at first, A little pesticide can’t hurt”. And here’s our protagonist in the swimming pool, holding her breath, trying to impress the boy in the next lane. “Felt my muscles burn, I took a tumble turn, For the worse, it’s a curse, My lack of athleticism, sunk like a stone, Like a first owner’s home loan”. If this is post-punk, then it isn’t characterised by the po-faced seriousness of some artists of that era. This is Jilted John for the mid-2010s. But it’s not all eat-on-the-run, soy linseed Vegemite sandwiches. There’s a moment of melancholy on ‘Depreston’, as would-be house-buyers go to view a deceased owner’s bungalow. There’s a touch of anger on ‘Small Poppies’ when we’re told “I dreamed I stabbed you with a coat hanger wire”. There’s also an above average number of references to death. And where’s the fun in that? In fact, what’s great about the new Courtney Barnett album is the refusal to be pigeon-holed as some sort of novelty artist. She may have a wonderful turn of phrase, but it’s not all clever couplets and pithy put-downs. There are some serious themes on this album. Themes worth sitting down and thinking about. In the end, if Courtney Barnett does have a post-punk ethos, then perhaps she most closely resembles The Boomtown Rats. There was a band whose first album just tumbled out of the speakers, who sounded like they were having great fun, who could wordplay with the best of them, and one of whose members went on to much more serious things. Who knows? 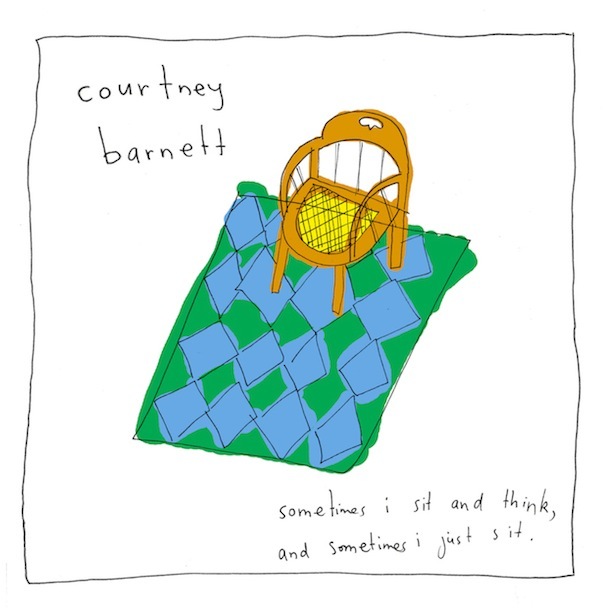 Maybe one day it’ll be Courtney Barnett’s turn to save the world. If you’re in an old house at night and you’re walking past the bottom of the stairs, then don’t be listening to Stone Jack Jones’ new album. Because if you are and you happen to glance up, it’ll scare the bejaysus out of you. Full of slightly off-kilter arrangements, Love & Torture can be an unnerving listen, though it’s a highly rewarding one all the same. It’s hardly the first album to be built around songs about life and death, but this one has a particularly liminal quality to it. It’s not what you experience directly that’s the concern, it’s what you think your senses are telling you that’s unsettling. The glimpses out of the corner of your eye. The sounds you think you hear at night. But this is no horror film. There’s no melodramatic dénouement, even if the long instrumental conclusion to the penultimate song, ‘Who’, has the potential to hide a multitude of deadly sins. This is a study in songwriter psychology. And that’s scary enough. Stone Jack Jones has a remarkable back story and this is the second time that he’s drawn upon it to craft a compelling album. But Love & Torture is a step up from Ancestor, which was already well worth the entry fee. Featuring vocals from Patty Griffin on two tracks and an almost creepy cameo by Kurt Wagner on another, this has the feel of a fully realised project. A brush with death. A paean to life. 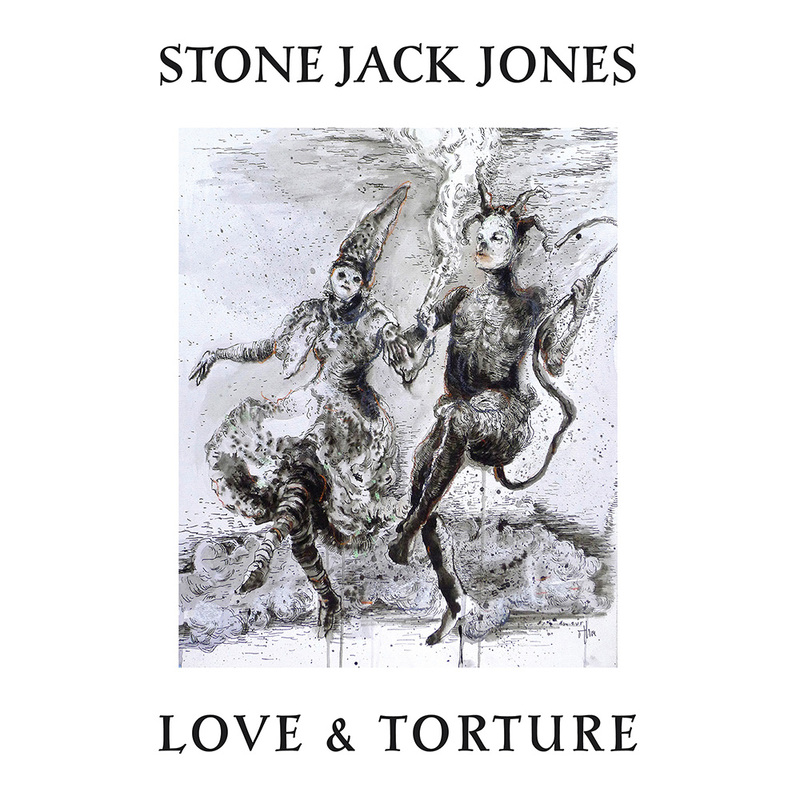 Stone Jack Jones takes us to threshold of consciousness and back. Put out the bunting. Strike up the band. Kramies has released a new song. Once again produced by Jason Lytle, ‘The Fate That Never Favored Us’ makes its way slowly and carefully down the tributaries of your half consciousness. In black and white, smiling faces wave in half speed at the vessel as it moves on. But they’re waving good bye. And Kramies is on board. Waiting for fate to favour him. And there’s more free stuff from Kramies over at Bandcamp.